Timothy has lived his life not knowing much about his sordid and violent past and how he came to be on this Earth. He’s a loner, never staying in one place for long, and the reason is simple. Timothy is a serial killer. He gets his kicks from the deaths of others. He chooses a particular looking woman each time and the more brutal and bloody the killing is, the more he feels alive. But there is something which haunts even him. A woman, who drifts in and out of his consciousness and is always lurking in the shadows. She is his ideal victim, but he knows little about her, except that she is from his past. When Timothy eventually makes the wrong choice with his final victim, he loses his own life in the process and is sent to Hell. Now it becomes apparent to him that death is simply just the beginning of his journey and that his true destiny awaits. A devastating war between Heaven and Hell is coming. It threatens to engulf everything and Timothy is right at the center of it. And when he discovers the true identity of the mystery woman, it is a shocking revelation which will consume him even quicker than the fires which are already licking at his feet. He’s in for a Hell of a time. Eric Kapitan fell in love with the horror genre at a young age. Binge watching Horror Movies such Halloween and Night of the Living Dead. It wasn't long before Kapitan wanted to tell Horror stories of his own. Never afraid to push the boundaries, Kapitan believes Horror should be hard hitting and leave an impression. Eric Kapitan currently resides in Vermont. He enjoys spending time with family/friends, drinking a nice cold Vermont beer, and going to Horror conventions. 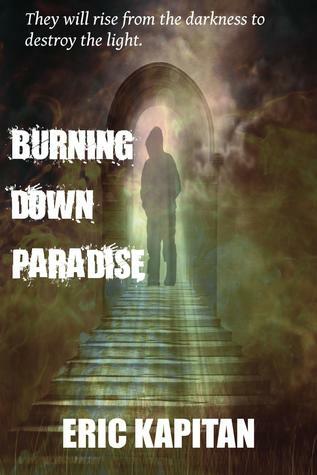 In Burning Down Paradise, Timothy is the main focus. He's a serial killer who kills to fill an emptiness that is inside of him. He often dreams and fantasizes about his ideal victim, a young woman who seems familiar to him but who he does not recognizes. He chooses his victims based on how much they resemble this dream girl. Another main character would be the girl that haunts Timothy's dream. I don't want to go into much detail about her because she is a very important part of the plot. I also have two characters who are my own interpretation of God and Satan. My good friend Adam Beckley designed the covers for my first two books. I would tell Adam about the book and what I was looking for and then he would design it. For Burning Down Paradise, I decided to use a combination of stock photos and one original photo that I created myself. 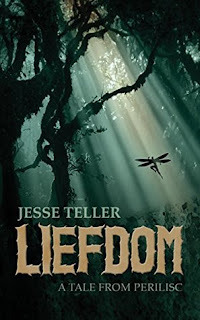 I think the key to a good book cover is depicting an interesting aspect of your book to bring to life in your cover. The detail and vivid bright colors are very important to me. In an age where everything is becoming digitized, you still need something to draw the reader in. At my computer desk with a cup of coffee in my hand and some nice inspirational music blasting in the background. I usually listen to film scores while writing because it helps me get into the world I am trying to create. I've been given lots of advice over the years and I would be bullshitting you if I told you I remembered any of it. I can tell you that based on my experiences in life I would say the best advice is to keep doing what you're doing, never give up on your goals and simply stay focused. A strong work ethic is key to any type of success. I wanted to be either a waiter or a pirate. I was able to live out my dream of working in food service for a short period of time. So I'm able to check that life goal off of my bucket list. Sadly, I have yet to live out my dream of becoming a pirate. It's hard to get a peg leg in the door. Oh yes, I am full of lame jokes such the one you just read. I like the convenience and customization of ebooks, However, I still prefer reading a psychical copy over a digital one any day. Plus, how can you not love that new book smell. Maybe Amazon should release a new version of a kindle device that is scented with new book smell. You could have all kinds of different flavors. Root beer, blueberry, nacho cheese. Wouldn't you love the smell of cotton candy as your reading Shakespeare? The ability to see through walls. Why? Cause I'm a huge pervert. I just finished reading Blister, By Jeff Strand. I have to say I am not usually a huge fan of horror comedy but Strand is a master at writing witty dialogue. I often found myself laughing out loud while reading it. Not since Everybody Poops as a book been able to do that. The Invisible Hand is about a boy, Sam, who has just started life at a boarding school and finds himself able to travel back in time to medieval Scotland. There he meets a girl, Leana, who can travel to the future, and the two of them become wrapped up in events in /Macbeth/, the Shakespeare play, and in the daily life of the school. The book is the first part of a series called Shakespeares Moon. 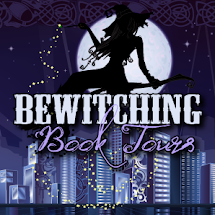 Each book is set in the same boarding school but focuses on a different Shakespeare play." 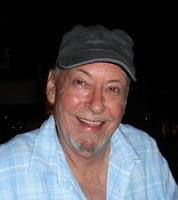 James loves writing and reading - the former a compulsion, the latter a pleasure - as well as running, boxing, eating, drinking and trying to see, and enjoy, the good things in life. The main characters in the book are Sam and Leana. Sam Cauldhame is a new pupil at a boarding school called St Francis. His mother is a writer and his father is an archaeologist. The whole experience of boarding school is strange for Sam, who´s a fairly normal guy, but things get even stranger when he awakens one night in medieval Scotland. It´s there that he meets Leana, a headstrong young woman. Both of them become involved in the plot of Macbeth – Lady Macbeth thinks Leana might be her daughter – and things get complicated when Leana somehow turns up at Sam´s school. 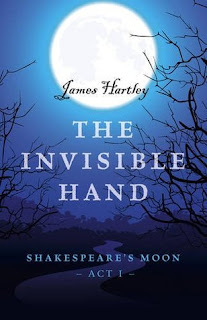 The cover of The Invisible Hand was done by an in-house designer at Lodestone Books, my publisher. I had some say in the general design, the themes and colours, and I´m happy with how things turned out. I wrote two short stories which introduce characters and themes from the series, Heart of Winter and Eve´s Christmas, and in both cases I worked with a very talented young designer called Lpixel. That process was very creative and satisfying. I like designing my own covers for stories I write on Wattpad. My mother-in-law´s kitchen. That´s where I wrote The Invisible Hand. These days I write in my own kitchen. I´m a kitchen guy. Nothing directly. But I like: “No fear, no envy, no meanness,” which Liam Clancy told Bob Dylan. And, “Everything in moderation. Including moderation,” which I heard Paul Anka say years ago on a morning TV interview. Probably to fly. I love the idea of flying over black, choppy seas at night or diving off green hills, enjoying the warm currents. I have a half-dream, half-plan to somehow learn how to fly a small plane but it sounds like an expensive hobby. The Maias by Eça de Queiroz: a fantastic writer I discovered by accident on holiday Portugal years ago. Has to be translated by Margaret Jull Costa, though. The Crime of Father Amaro is amazing. He would be much more widely read if he hadn´t of been Portuguese. A story about love, but not just a love-story! Except for, maybe, Matt — he is too busy living the classic rock-star’s dream full of music, drugs and girls. Lots of girls. Life is treating him well, until reality starts to bite. Rain, on the other hand, is a dreamer She recovers from one failed relationship and, with her eyes wide open, jumps straight into another. Her passion for antiques drags her into a new adventure that, like every castle-builder’s wish, begins in dreams. Wishful thinking is not something, Ed is familiar with. His life used to be strictly practical, however, Ed suffers from solitude, that even he fails to recognize. Even in a relationship he is still lonesome. But changing that means changing his whole life. Changes are also the thing Charlie is craving for. She’s been playing warm family life for long enough to get tired, so now she is ready for another step. Only she has no idea, where exactly is that step supposed to be leading her, and how many people she might hurt on her way. In this story everything and everyone is connected, but that’s yet to be learnt. Polina: Hi, we are Polina Traore and Dana Kaledin, authors of “Never a Dream” - a love story, a life story. Dana: Not just one life. Polina: But let’s not get ahead of ourselves. Polina: Well, there are four of them, and we both have something in common with each. Dana: There are Charlie, Ed, Matt and Rain - four twenty-something people. Polina: All four have to do some serious soul-searching, they have to figure out who they are and what they want. Dana: And then there are some serious romantic issues they all have to face. Basically, relationship stuff that is very familiar to most of us. Polina: Dana does everything regarding design. We are really lucky to have a designer on a writing team. Dana: It’s a very fun process, we discuss, I do the sketches, and then we discuss different options, throw in ideas, colors. It’s a creative process like every other part of creating a book. Polina: I have a special chair for writing. It’s huge and comfy. But there is no special place for these things. Dana: Agreed, inspiration can hunt you down anywhere. Polina: Don’t quit your day job. Polina: Also, sleep at least 8 hours. But that doesn’t work for writers. We are night creatures. Polina: I wanted to be Storm from the X-men. I still do sometimes. Dana: I wanted to be a cowgirl, ride a horse and watch the cows somewhere in a field from the “Sounds of music”. Dana: Paperbacks seem more cozy. Ebooks are more usable, but they don’t really look well on a bookshelf. Polina: I prefer to read ebooks, and then get paperbacks anyway. Polina: Control the weather, hands down. Storm is my idol. Dana: The ability to teleport would be very fun to have. Polly: I want that too… can I switch to being omnipotent? 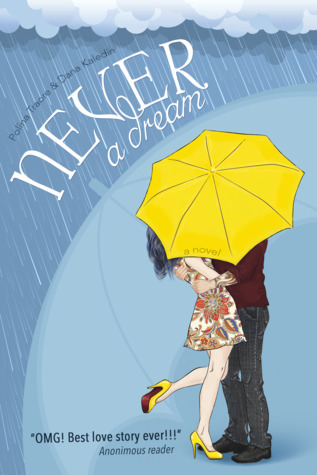 Dana: Chapter 78 of “Never a Dream”, the book might be finished, but the work is not completely done just yet. Polina: I should really read that sometime… sounds like fun. As for me, I’m still struggling with “Graveyard Shift”. The book is a lot of fun, but the timing could be better. All of my characters are flawed. Some in major ways, some in minor. My main character is often carried away in passion and rage, and he's fighting that through the entire book. There are things about his warrior mentality that make him an outcast and misunderstood. I started with a concept of a warrior who didn't belong in the society he was born to. With my troubled past, and growing up in the streets, I lived a very different life than my wife, and so, finding a place in her family was very challenging for me. This book is how I came to terms with that. Gentry Mandrake ushered me into an understanding of my place in my family. My wife is a graphic designer, so we can do just about anything we want with my covers. We start with the concept of the book for mood and tone, and move into the specifics very carefully. I trust her and her artistic vision completely. Often, her concepts become a reality in some form. We always talk about what we want the reader to think and feel when they look at the book. So far, all my book covers have been designed with a silhouette, a shadow. I think this shows the darkness in my work, and creates the mood we strive for. I'm sitting in it right now. This room, my office, was meticulously designed to drip fantasy. Everything in this room has something to do with fantasy or my fantasy world. It creates a place where my imagination can't help but burst into flames. It creates a place that soothes me, but at the same time challenges me to keep moving, to keep writing, to keep working. I've got my desk, my outbox, two screens, a blotter, and a mousepad of a kraken ripping a ship in half. I have statues of two terracotta warriors, a lot of original artwork from an artist named Chris Mostyn—I love his work—and countless skulls, dragons, knight's heads. I have a dry erase board to keep me current on submissions for my two writers groups. Dozens of my favorite words are printed off and framed, hanging from my walls. One wall in my office is magnetic, and with hundreds of magnets, holds the notes for every book I write. It's perfect. It's home. The best writing advice I've ever been given was work it like a job, punch in and punch out. Work every day. When I'm writing a book, that's exactly what I do. I have a 3,000 word quota for the day, and I write until it's met, no matter how long that means. Every successful writer I've ever read about has worked in this fashion. There are no blockbuster writers who write when the mood grips them. Inspiration is a luxury, not a necessity. You can always jam out something. That's the best writing advice I've ever been given. The best advice I've ever been given is to meet all people with respect. I was told everyone is fighting a battle that you know nothing about. Well, until I was in fifth grade, I wanted to be a fireman. Who doesn't, right? Saving people, heroics. I think for awhile I wanted to be a cop in there somewhere. They are the superheroes of our age. But as soon as I started writing, I wanted to be a writer. I started in fifth grade. I was raised by spectacular storytellers. I apprenticed under them at a young age, listening to every story they told, and learning exactly how to turn a phrase, and exactly how to capture a scene. So, by the time I was in fifth grade, I was a storyteller, the kind of guy who's talking constantly and you have to tell him to shut up. That was me. Writing was just the next natural step. I knew I wanted to do it forever, as soon as the first assignment was given. It depends on what I'm reading. For modern stuff, I want the paperback. I want to feel it in my hand and turn the pages. I like bookmarks. My grandpa used to use all the matches in a pack and then use it as a bookmark, not a matchbox, the folded cardboard kind. He read all the time, lots of Louis L'Amour. When he died, and I was going through his books, I found hundreds of little matchcover bookmarks. So for the new stuff, I like paperback with an interesting bookmark. I think I spend more time thinking about bookmarks than I should. Now for the classics, I like ebooks. Classics on ebook are very cheap. I got H. P. Lovecraft's complete works, everything the man ever wrote, for a dollar. Same with Edgar Allan Poe and Robert E. Howard. I bought Picture of Dorian Gray, Red Badge of Courage, The Scarlet Letter, all of these for one dollar. I like that my Kindle tells me, when I'm reading a complete works, what percentage of the book I'm in and how many hours I have left of reading. I think when I started reading H. P. Lovecraft's complete works, I had 60-70 hours of reading to do. It's very comforting knowing just how long it's going to take you to read a book. So, for me, it depends on the book. It depends on what I'm reading. I was playing a board game with my sons and this question came up. Their answers were super strong, super fast. My wife wanted to be able to fly. I told them my super power would be to turn lemonade into slightly colder lemonade. Since that board game, I've rethought my answer. There are two daily activities that drive me crazy, that I would love to eradicate from my life forever. If I had superpowers, I would never eat again, and I would never sleep another day in my life. Sleeping is just annoying. I never want to go to bed, and I never want to get up. The whole activity is one monstrous obstacle that I would love to rip right out of my life. As far as cooking goes, let's think about cooking for a minute. You've got to eat every day, numerous times in the day. You've got to take prep time cooking your meals, and afterwards you've got a mess to clean up. The whole activity is completely annoying. There are going to be people who say, "But oh, Jesse, think about how delicious food really is." And yeah, I'd miss pizza. I have a lot of favorite meals I would miss. But for the most part, to never have to deal with that annoyance again, that would be amazing. Well, I've got about 18 hours left in my H. P. Lovecraft book. I'm in the third book of the Malazan series by Steven Erikson. It's pretty spectacular. And I'm halfway through The Strain by Chuck Hogan and Guillermo del Toro. I'm always reading more than one book, not because I get tired of one before I finish it, but because when I'm not busy, and I decide to think about what I'm reading, I want to have options. Step 1: Transfer High Schools. Step 2: Hide your Tourette’s. Step 3: Find your fifteen seconds of normal. Kaeya Garay has a plan. And it seems to be working.But when a curious interruption named Thatcher Kelly stumbles upon her “safe” place in the school’s abandoned art gallery, her grand plans for normalcy are suddenly derailed. 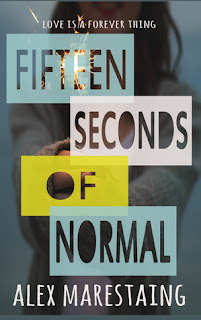 Set over the course of three weeks, Fifteen Seconds of Normal is the quirky saga of a literature obsessed teen on the edge of a meltdown and the hope driven heroine who begins to pull him back. Fans of Eleanor and Park be warned. You won’t be able to put this one down. A “Breakfast Club” for a new generation from EPIC Award finalist Alex Marestaing, author of I’m Nobody: The Lost Pages. The characters in my latest book, Fifteen Seconds of Normal, are two high school juniors trying to make it through the worst year of their lives. Kaeya Garay has just transferred to Glen Canyon High. The transfer is part of her plan, to escape from the stares and whispers, side effects of the Tourette Syndrome that’s plagued her since elementary school. In case you haven’t heard of it, Tourette’s is a neurological disorder that causes a person do things like randomly shout, or make sounds, or contort their face in a wide variety of facial tics. 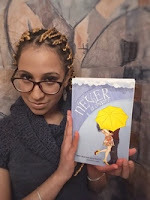 It’s a hard disability to hide, but by transferring schools she hopes to start fresh, get asked to a school dance, fall in love, and finally find her fifteen seconds of normal. Literature obsessed, Thatcher Kelly’s life has turned upside down over night. On top of his dad ditching the family, he’s just taken the worst school picture in the history of school pictures, a picture that has begun to circulate as a viral meme. But, like Kaeya, Thatcher also has a plan, to rewrite the narrative by posting these artistic pictures of his own on Snapchat and Instagram. It’s his way of stealing his life back and somehow make his own way back to normal. When Thatcher inadvertently crashes into Kaeya’s “safe” space in the school’s nearly abandoned art gallery, an unlikely friendship ensues, and they begin to help each other on their quests…and that’s when things get interesting. I like to think of Fifteen Seconds of Normal as more than a love story. It’s a story about love, and there’s a big difference. It depends on the book I’m working on. When I worked on my first book series, I had no say at all as to what was on the cover. The publisher took care of everything. Though the covers were okay, I felt they were a little too “Hannah Montana” looking for the stories I had written. Nowadays, I’m able to create ideas of my own, and that’s one of my favorite parts of the process. What is that process like for you as an author? Fifteen Seconds of Normal took about two years from start to finish. I started by brainstorming ideas like a maniac. Then came a trip to New York to pitch the book to editors, a frantic binge-writing sessions in order to send them the chapters they wanted, editing, more writing, and editing some more. Unfortunately, I’m kind of a perfectionist when it comes to my novels, so I kept changing things, which kind of delayed the process. I don’t really have one favorite spot. I can write pretty much anywhere. But I do tend to get a lot of ideas when I travel. I wrote a big chunk of my last book I’m Nobody: The Lost Pages in a tiny, hundred-year-old house in Sweden. The house, with peeling paint and ancient plank floors, sort of became a character in that novel, the abandoned mansion that beckons agoraphobic Caleb Reed to come out from hiding and cross the street. Soon I’ll be heading to Tokyo, so who knows what I’ll come up with there. An anime influenced, Studio Ghibli type epic? Who knows? Love is always a risk, especially when you’re unsure what the other person thinks of you. But if you care enough about the person, you’ll let them know, in spite the fear of rejection. I always wanted to be a pilot, which is weird because I used to be terrified of flying. Lately, I’ve been reading on my Kindle. But I definitely love the look and feel of print books better, either hardback or paperback. Teleportation. I lived in Sweden for a while and my close friends and family are there. Teleportation would give me a cheap way of visiting them without the eleven-hour plane trip from Los Angeles, where I live now. My daughter just gave me a book called PAX for Christmas. It’s about a fox and a boy who are trying to find each other after becoming separated during a war. I love the cover and the premise, so, that’s next on my list. D.L. 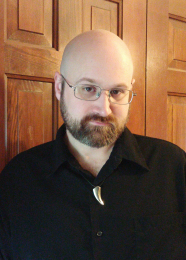 Richardson is a writer of speculative fiction, with reviews such as "exciting and fast-paced book with an original story line--Buzzwords Books", "I really enjoyed the twists and turns of this YA novel--Night Owl Reviews" and "This was a marvelous book--Lit Pick Reviews". 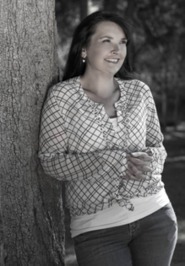 She conducts workshops at writers centres and has appeared on panels at Conflux 2015. She recently held a mentor a role at a writer weekend retreat. Writing credentials include "Writing Feature Articles for Newspaper and Magazines" Sydney Writers Centre, "Writing for Children and Young Adults" Sydney Writers Centre, and "James Patterson Teaches Writing" Masterclass. Her published books can be found on her website www.dlrichardson.com. When she's not writing, she can be found wandering in her yard waging war on weeds, watching back-to-back episodes on Netflix, playing her piano or guitar, curled up on the couch reading a book, or walking the dog. Kelly Lawrence suffers from misanthropy - the hatred of humanity. For her, puberty was a tough time, she wanted to cry at all the pain and suffering in the world and she had no idea what to do about it. She went into law and her loathing of the world intensified, until she met the man of her dreams who soothed her haunted soul. And then he died.Jack Minnow is Kelly's older brother, and he looks out for his sister because it helps him avoid looking out for himself. He suffers from a superman syndrome, always sweeping in to save others, never saving himself. He's a good older brother, a good friend, the type of person you can depend on...until he finally has enough. Reis Anderson is the son of wealthy parents and is probable more of a basket case than anyone else in the game. He enters to escape the pressures of his overbearing parents. He is aloof and quiet, but inside he's brimming with anger at everything. But he has his reasons to be angry. And he has a sweet side. 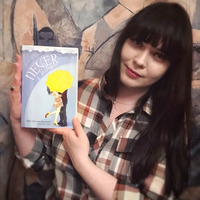 My first two YA novels were designed by an excellent artist who resides in Ireland, Eithne Ni Anluain. She creates such stunning images that when I self published my third YA novel, I knew I had to try to as least match her designs somehow. I've searched sites that sell book covers and while they are lovely, I haven't found anything that says 'yes, that's my book'. I've put a bit of a contemporary spin on these YA covers for something different. I hope the new covers work. 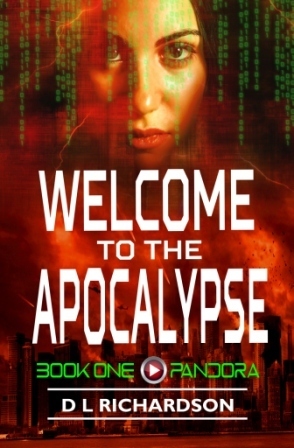 With 'Welcome to the Apocalypse', I spent months searching for images to suit the story. 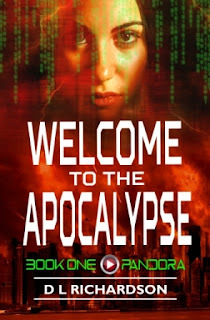 I wanted to capture one part of the story - virtual reality - and the other part of the story - apocalypses. It's one of my best designs, and I also had to think 'high concept' for the series so the images and words carried across all the books. My office. It was recently renovated and now I have a stunning desk with a stunning view. I have my piano and my guitars in the room with me, and there are lots of pictures on the wall. I love being in this room. Put a fridge in there and a coffee pot, and I'd never need to leave. "Nobody asked me to do this". I heard this piece of advice at a writer workshop. We were learning about book proposals, and one lady put her hand up, she was teary-eyes and she said, "But I've been doing everything you said and I still keep getting rejected". That's when the presenter said that nobody asked her to do this. It's the most grounding piece of advice I've ever heard. I wanted to be the girl who got to ride a horse and play the piano all day. Of course, the big flaw in that plan was that I grew up in a household in the poor suburbs with four siblings and only one income. Suffice to say, I never got a horse, and it took me over 30 years to get the piano. I still dream of being the girl who rides a horse and plays piano. 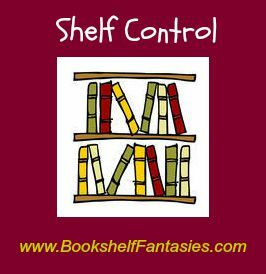 As a reader, I like paperbacks, because I can't imagine life without a shelf full of them. But when I'm travelling I like ebooks because they're so compact. As a writer, paperbacks are essential to take to workshops and conventions. But ebooks are still the format that sells best for my books. Magic. For the life of me I never understood why Samantha on "Bewitched" chose not to use her powers and live a pedestrian life when she could do anything! And apart from the whole 'master and slave' premise on "I Dream Of Jeanie", I always wanted her powers too. I'm reading a Dean Koontz novel "False Memory" that I started reading a while ago and put down. It started to drag. Reading can be influenced by a 'mood', so at the time I started reading I probably wanted a faster pace. 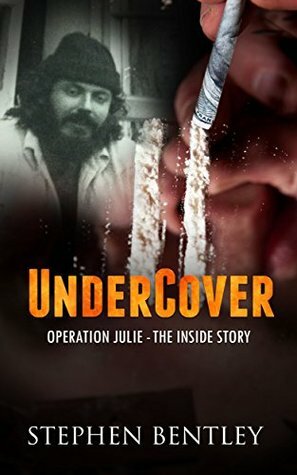 Stephen's memoir Undercover: Operation Julie - The Inside Story was published in September 2016 and rapidly became an Amazon UK #1 Best Seller in two categories. It tells of his undercover role in infiltrating one of the world's largest ever drug rings. Undercover: Operation Julie – The Inside Story is a non-fiction true crime memoir set in the 1970’s. It is about my undercover cop days on what is still one of the UK’s largest drug busts. Unsurprisingly therefore, the main character is me. Yet, the most important character is the drug dealer, Smiles. That betrayal has been picked up on by some of the astute readers and reviewers of my book. Indeed, it is a theme that has attracted some solid interest from the film industry. Why? It is a story of human interest and conflicted loyalties. Film option? Watch this space! 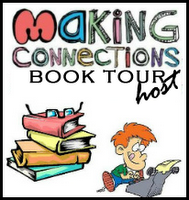 Anna from Fiverr has designed all my book covers. I know some folks look down on Fiverr but she is a gem and so talented. Anna has now set up independently from Fiverr and I believe she will continue her successes. The process for me as an author is simple. I discuss the idea with Anna and she provides me with sample covers. I make the final decision. I live in the Philippines these days so heat and humidity goes with the territory. I have a large master bedroom that accommodates my desk and laptop. So, with an electric fan and air conditioning, my office chair and keyboard in front of me, that is my ideal writing spot. It is also mostly distraction-free! In life – work hard and don’t give up. That was my father’s advice and also advice I have taken on board from so many successful people. In writing – pour your heart out, let it bleed, be honest to yourself. So many different things at different stages but at one time I wanted to be a writer – a journalist. No contest! I love a book in my hands so either hardbacks or paperbacks. Hardback, if I think I want to keep the book. Tough, tough question. I would choose the power to heal people. Health is the most important thing in the world. I could heal myself and others of all sickness. Luckily, I am in good health but I know so many people who aren’t as fortunate. Yes, definitely! A supernatural healer. I have just finished Kimberley McGath’s Zodiac: Settling the Score and started Dup Departs by Gavin Mills. I am reading both to review in connection with Mystery Thriller Week 2017, an event listed on Goodreads.